JAN-15-19, The money was taken in small but steady amounts, skimmed across several years in such random fashion that Deanna Mache Gray would later admit even she wasn’t sure exactly how much she’d stolen. 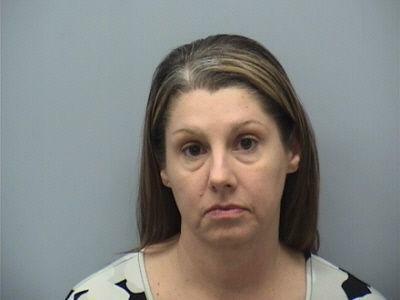 When Gray, 44, pleaded no contest last fall to four counts of embezzlement, however, the restitution amount she agreed to pay very nearly reached a half-million dollars — $421,119, owed to Gray’s former employer, orthodontist Dr. Penny Lampros. At Gray’s sentencing hearing Tuesday in Roanoke Circuit Court, another staggering figure was revealed: Gray got a 12-year prison term, with that time to be suspended after she serves five years. That penalty is slightly above the high end of her sentencing guidelines, which ranged from one year and 11 months to four years and 11 months. “The frequency of this embezzlement is astonishing. The duration is unbelievable. And the scope is staggering,” Judge David Carson told Gray, adding that if she manages to pay off her debt while incarcerated, he would consider modifying the length of her active sentence, but he gave no guarantees. If she still owes restitution when she is released, Carson said, she will be on probation until it is paid. Gray worked for Lampros for almost two decades, handling her schedules, billing and other bookkeeping. Roanoke assistant prosecutor Andrew Stephens has said that after Gray quit the office in December 2016, inconsistencies were found in the finances that suggested “widespread theft of cash payments” through voided transactions. He said evidence showed Gray’s thefts ran from as small as $50 to $100 up to amounts as large as $1,000, and he claimed she had also written off or adjusted dental treatments for her relatives. After an investigation by Virginia State Police, Gray was indicted in 2017 on 10 felony counts of embezzlement. In October, she pleaded no contest to four of those charges and saw the rest dropped. Soon after the indictments were issued, Lampros filed a civil suit against Gray, seeking $850,000 in compensatory damages and $500,000 in punitive damages. That case had been set to be heard by a jury Jan. 28, but in her testimony, Lampros said the matter had been settled less than an hour before Tuesday’s hearing started. While details of the resolution were not immediately available, Lampros confirmed in her testimony that Gray would surrender to her about $109,000 she had in retirement funds to pay off part of the restitution she owes. Defense attorney Ray Byrd said during his cross-examination of Lampros that Gray had worked for her for about 19 years and had been paid about $25,000 annually. Lampros confirmed that length of tenure, but she said she was not sure how much Gray’s earnings were.